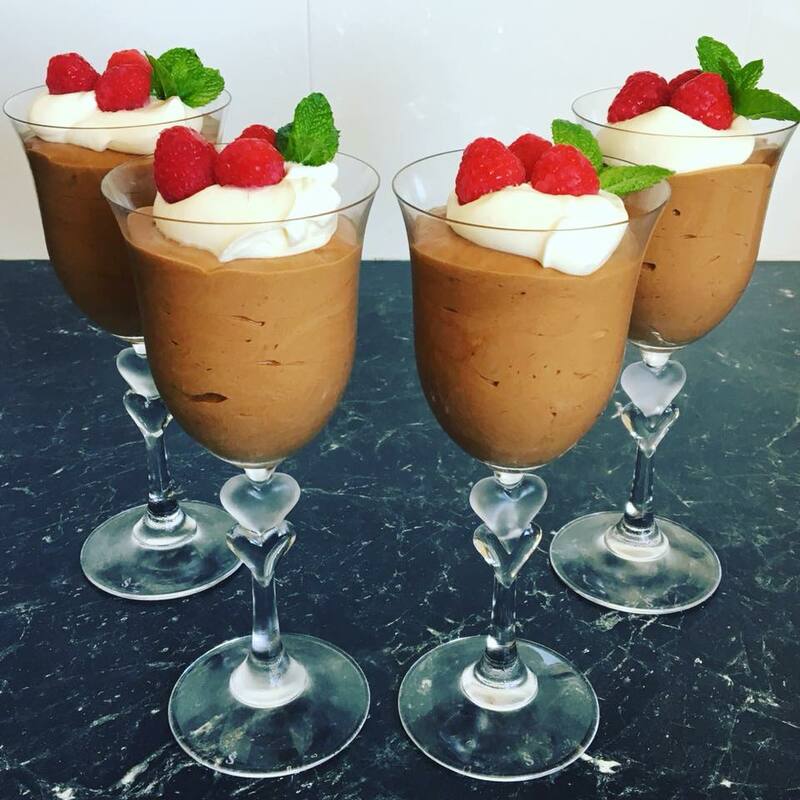 This chocolate mousse is creamy and smooth and absolutely delicious. And can I say this is so easy to make, really easy. It has three simple steps, three really simple steps, it sets in about 2 hours and tastes amazing. This can be made the day ahead of a party, something I always do. I love when things can be made in advance. 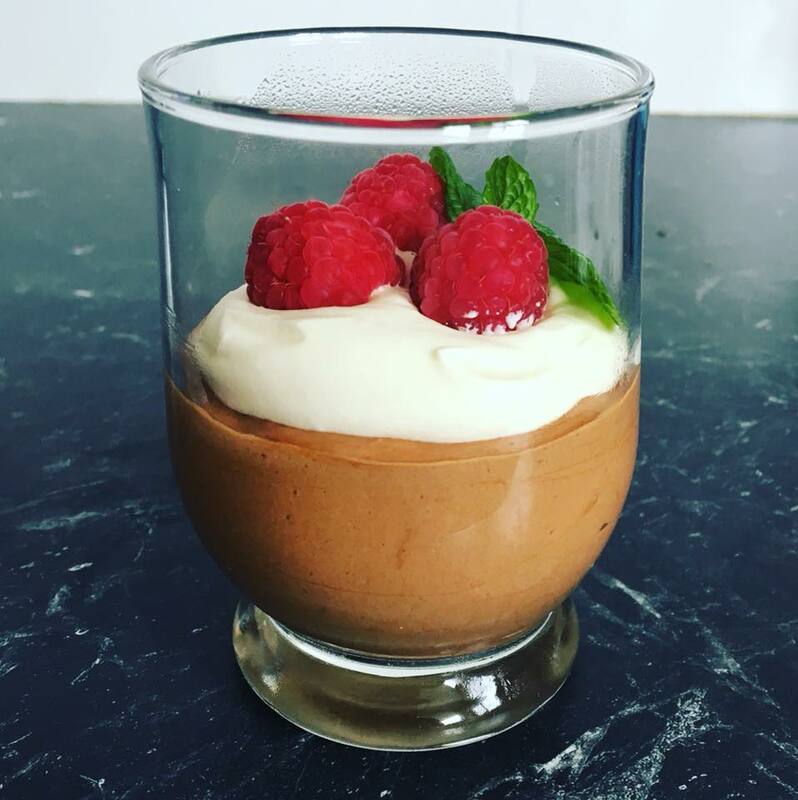 If you are new to mousse making, give this one a try as it is delicious. Just before serving, whip the extra 1/2 cup of whipped cream, dollop evenly onto the set mousse. Top with fresh raspberries and mint leaves.